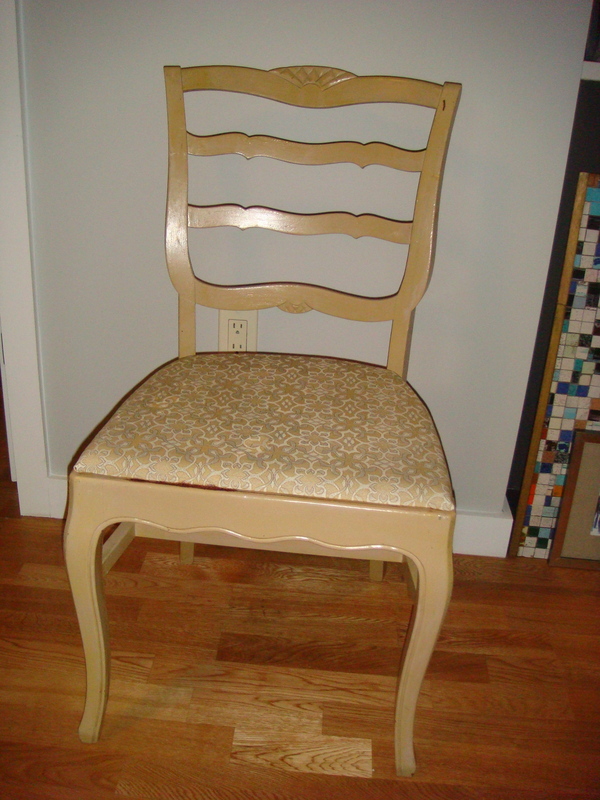 I loved the lines of these chairs that I picked up at Housing Works. I didn’t love the dull color and dingy upholstery, however. But, that’s an easy fix. With some paint and fabric from Kate, I got to work. The result is quite charming, no? I showed you mine, so it’s your turn to show me yours! 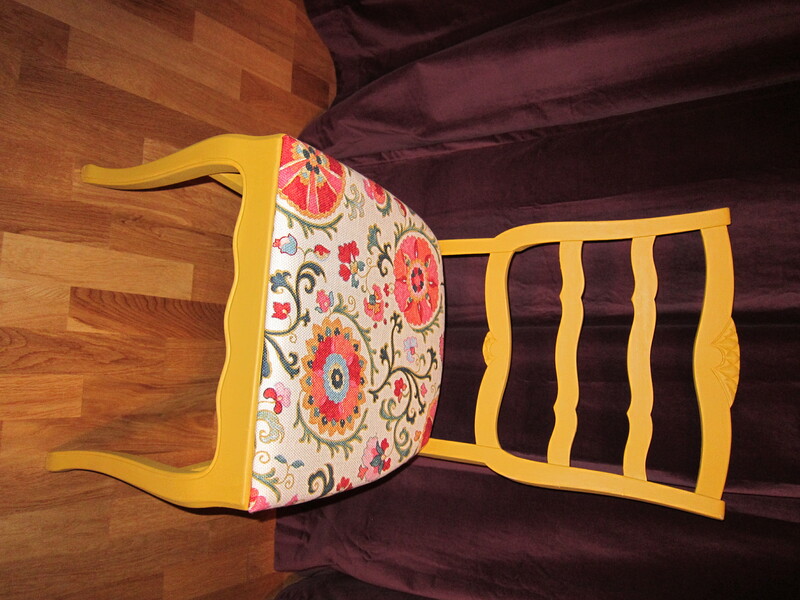 Send me photos of your favorite chair/furniture make overs please! I’m obsessed with this old, dilapidated hand drawing that I discovered at a thrift store on Atlantic Avenue. 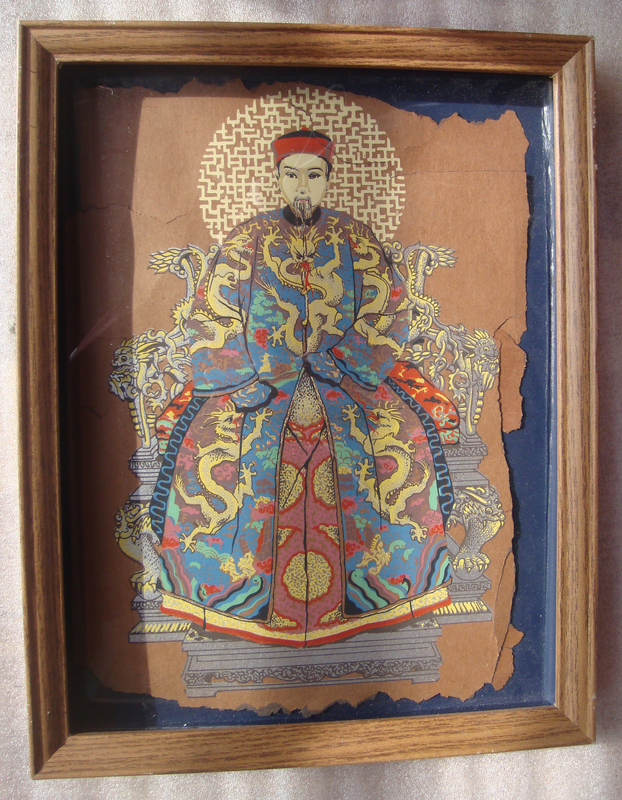 The owner was perplexed that I’d managed to rummage through all the pieces of furniture, lighting and bedding, to locate this small 8″ x 10″ old artwork. 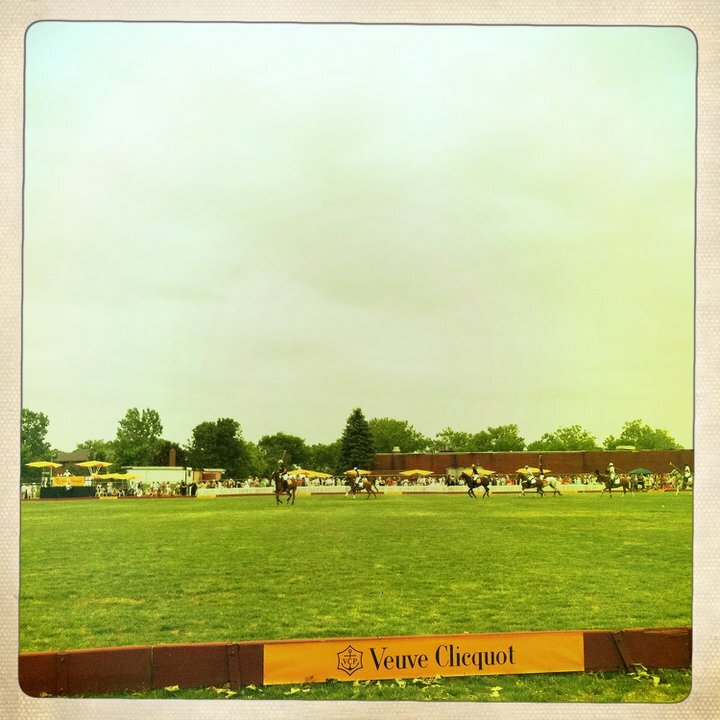 I was thrilled! I paid the man and left in a happy daze. 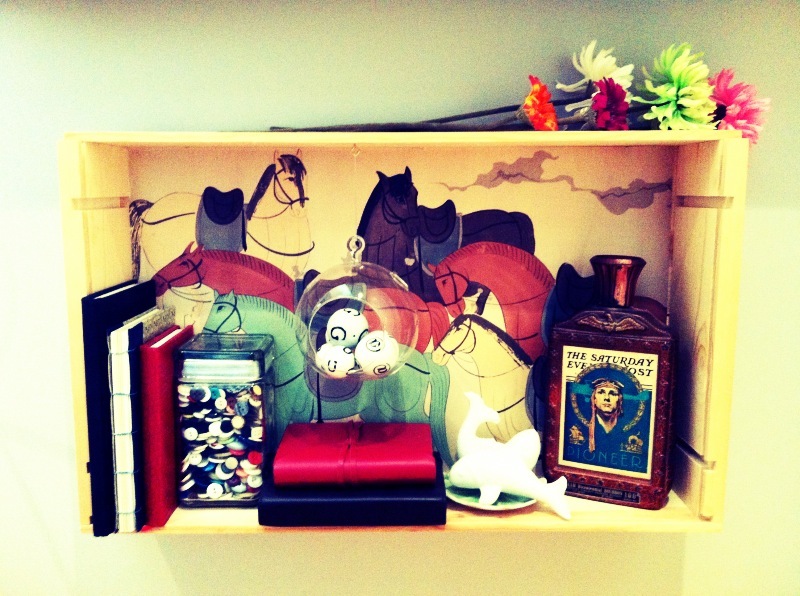 I found a shadow box at a flea market and knew it was perfect…only it looked dingy and plain. A coat of gold hammered spray paint did the trick and now it’s proudly hanging in my apartment. I wonder if this came from a set…what I wouldn’t give to find a matching Empress drawn in the same manner. 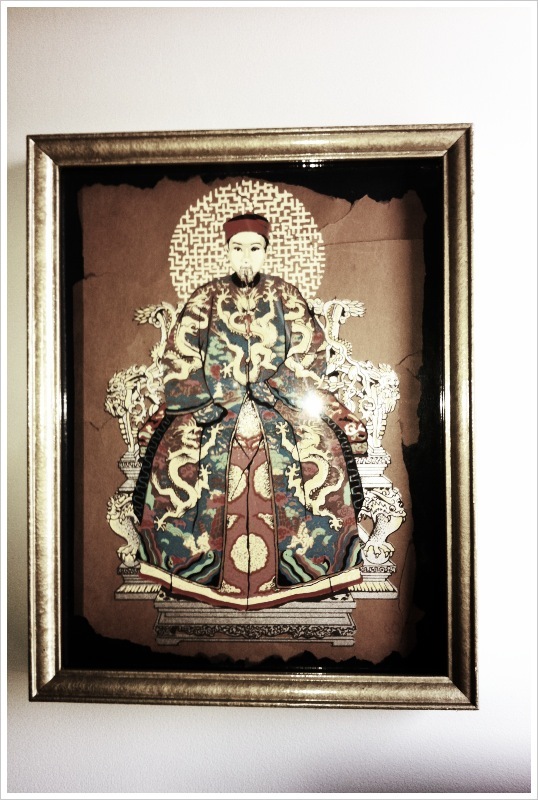 Or…that could be my next art project and I could duplicate it and draw my man a female companion? Who wants to have a craft night? 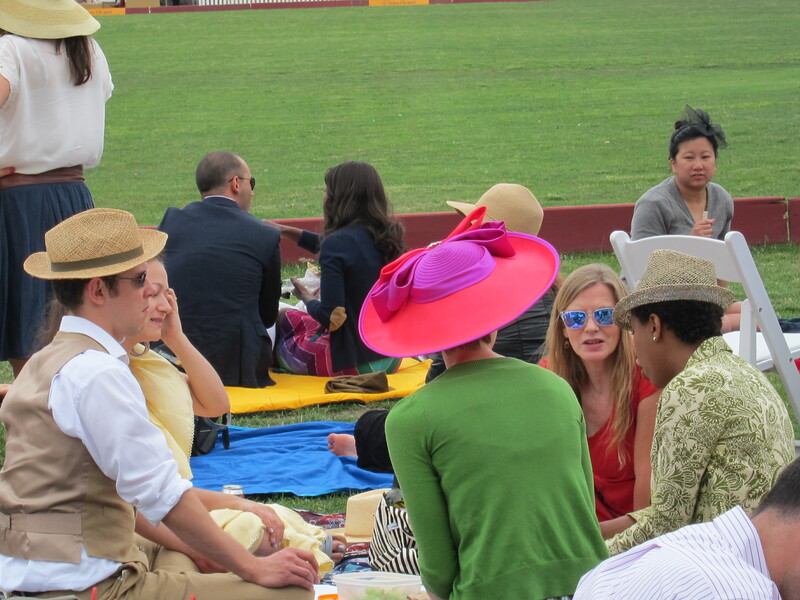 The hats at the Veuve Clicquot Polo Classic were a sight to see! 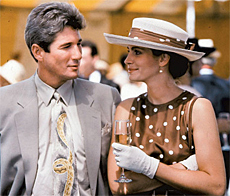 A little known fact: women in the UK do not don hats to polo matches but stateside, our affinity for hats was largely influenced by Julia Roberts’s role in Pretty Woman. To keep with the American tradition, I dug out a hat I made a couple summers ago. 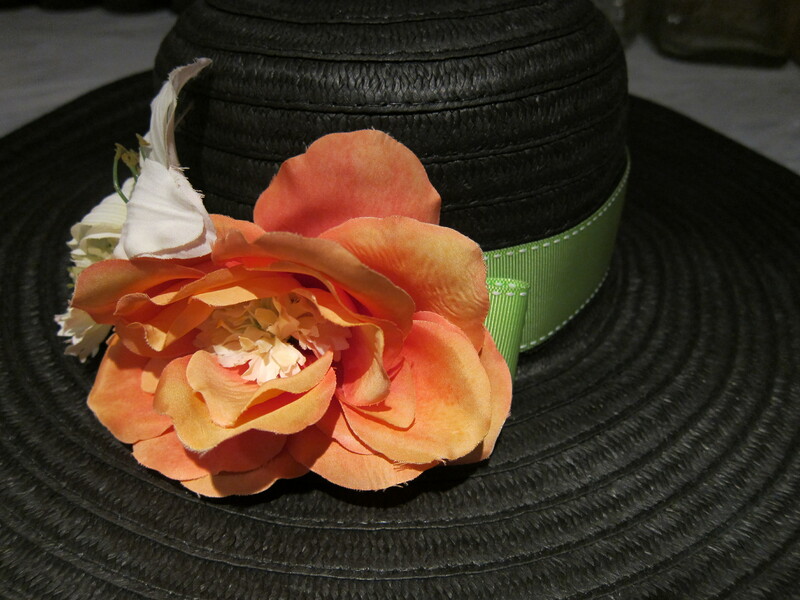 I found a super cheap floppy hat and got some flowers and ribbons from the craft store. 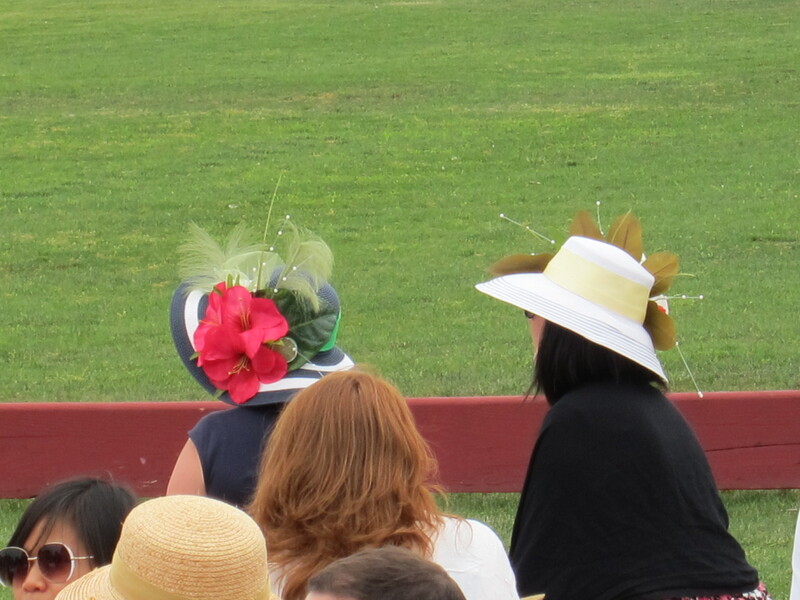 This hat cost about $15 total, but manages to look chic and not home-made, I hope. 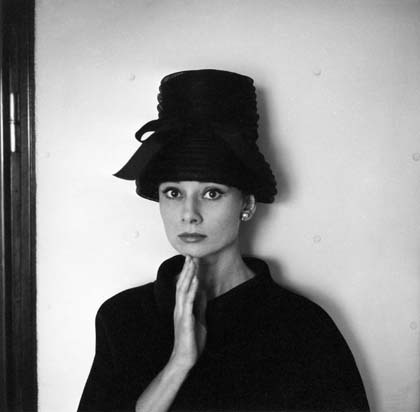 I opted for a simpler hat, which I find remniscent of Audrey Hepburn. 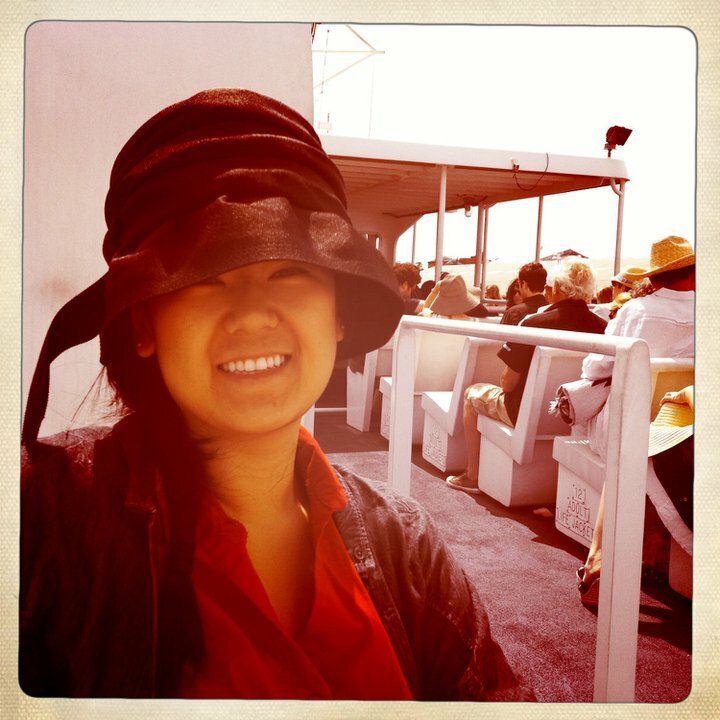 Yehua needed the extra brim since her post lasik eyeballs were still quite sensitive to light. 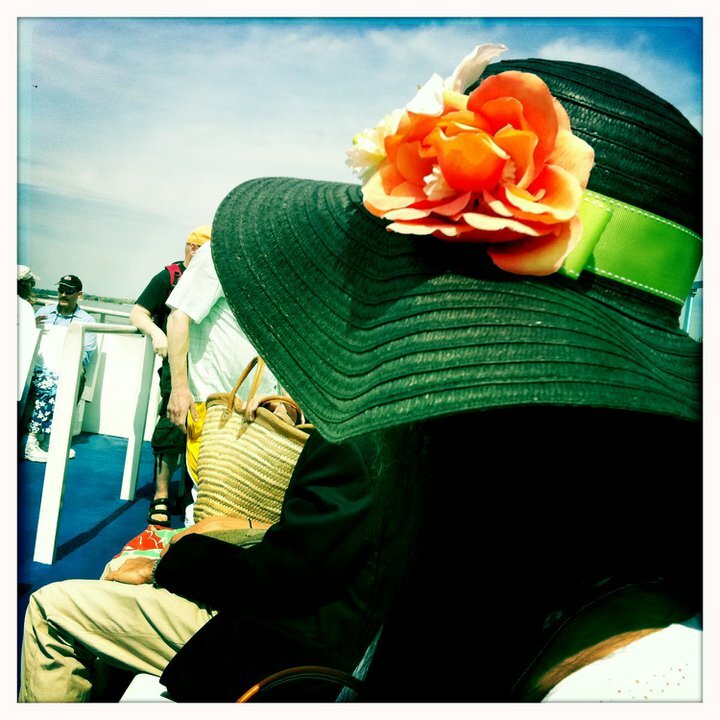 I was walking around taking photos of my own, when a snapshot of my hat was taken for Inside New York. 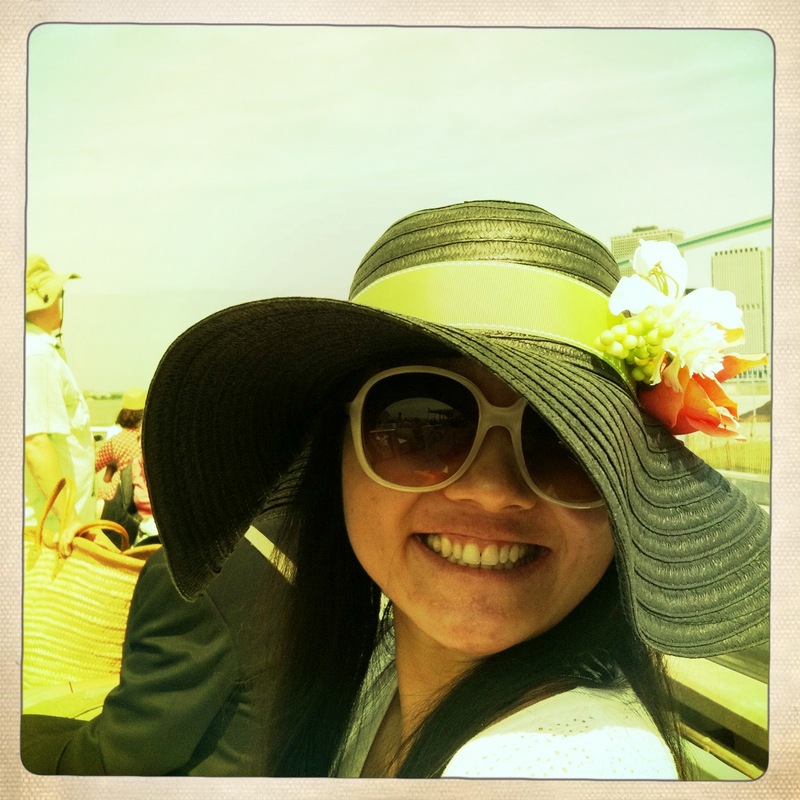 Yehua texted me, “Your hat is going to be on a blog!” but alas, it didn’t make the final cut. 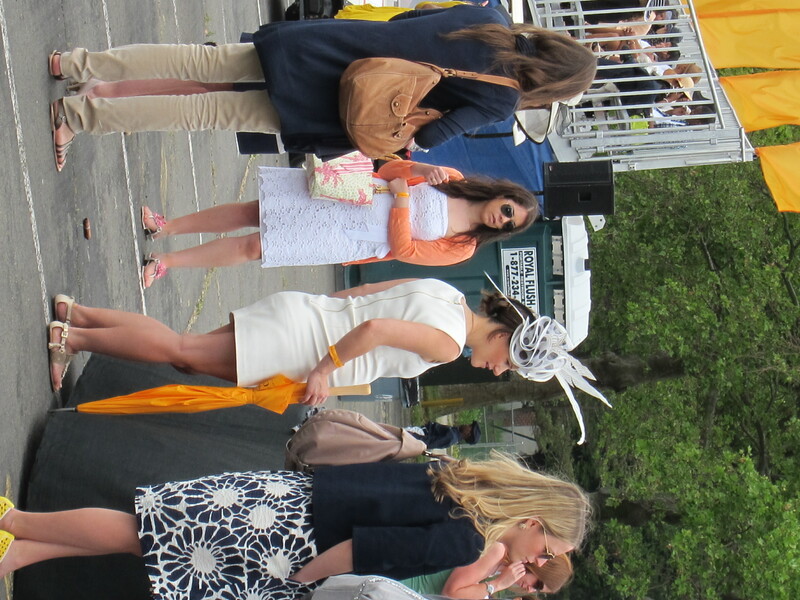 Like the editors from Inside New York, my favorite hat was hands down the stylish mom-to-be! 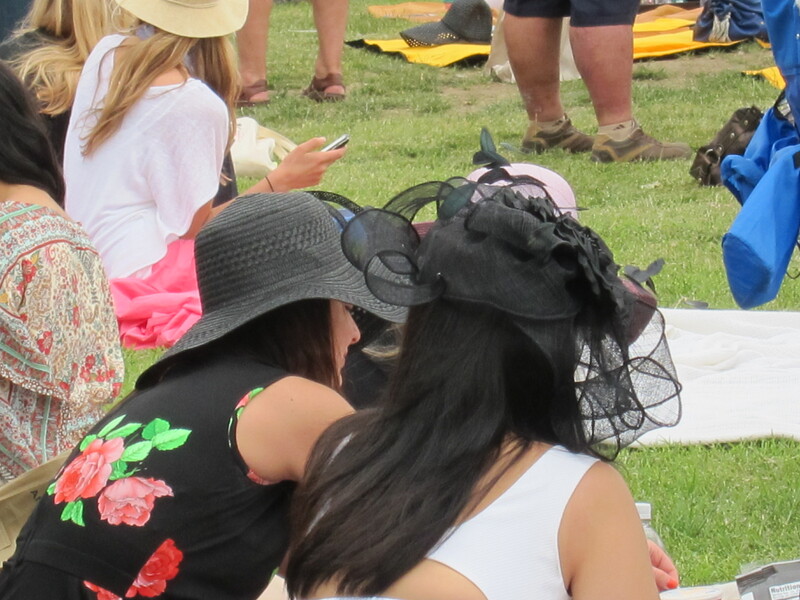 Here are some other surrepitious shots I took…being a lady comes in handy when taking sneaky shots of strangers…I was being a creepster but no one was the wiser. 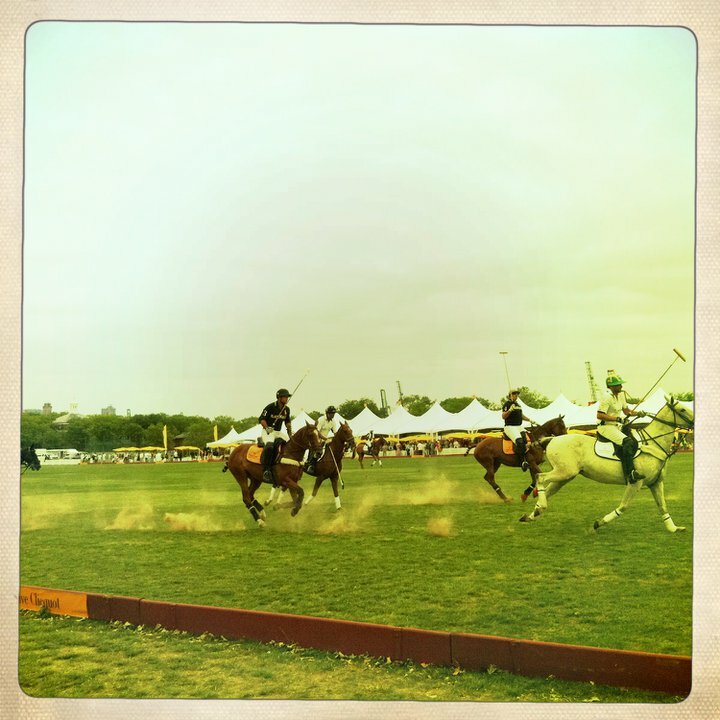 I paid more attention to the hats than the horses, but for all you polo fans out there, here are some action shots! It was a last minute decision to go this time and many people had to cancel last minute, but next year I plan to have a group of decked out gals & gents! Wanna join in? Filed under DIY, Out & About, Party! 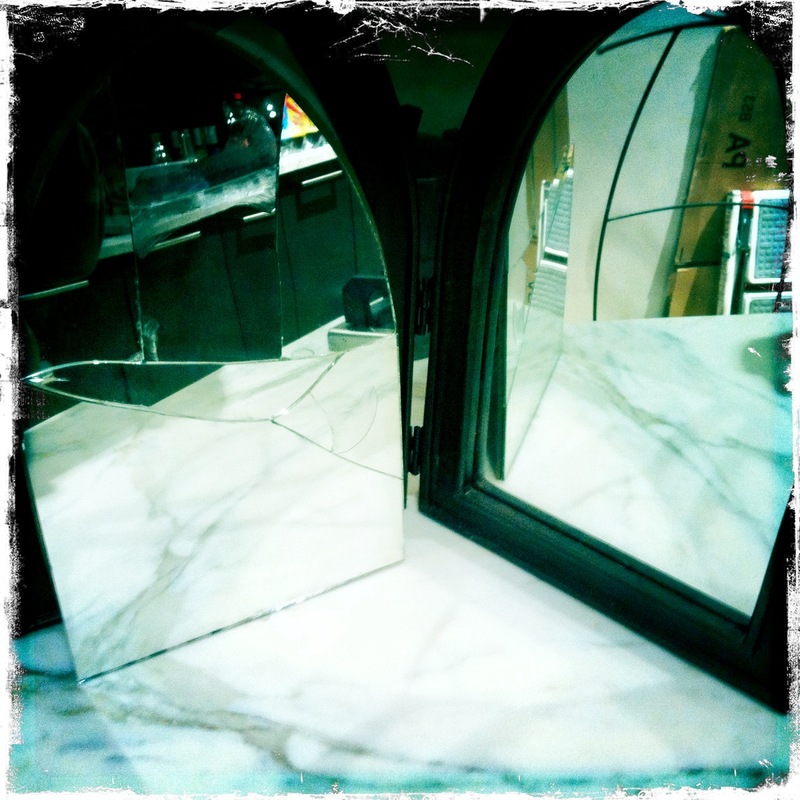 So a couple years ago, I broke one of the mirrors in a folded frame that I had purchased way back in Saint Louis. Initially, I glued the shards together for a failed mosaic look, but now I finally found a better solution. So simple! 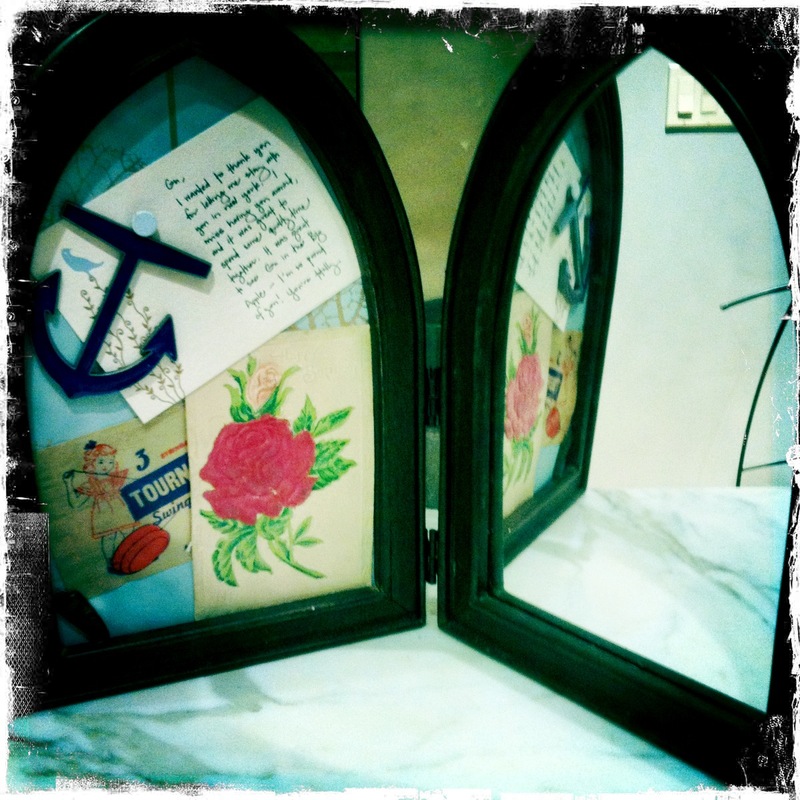 I took leftover wall paper to cover the backing and then started adding sentimental elements: DG anchor, a note from Betsy, birthday card from Kate, vintage candy bag, 1 earring from a lost set. And I can easily switch out the panel if I want to change it up later on! Now I just need to ride out the remaining 5 years of bad luck…Any tips? 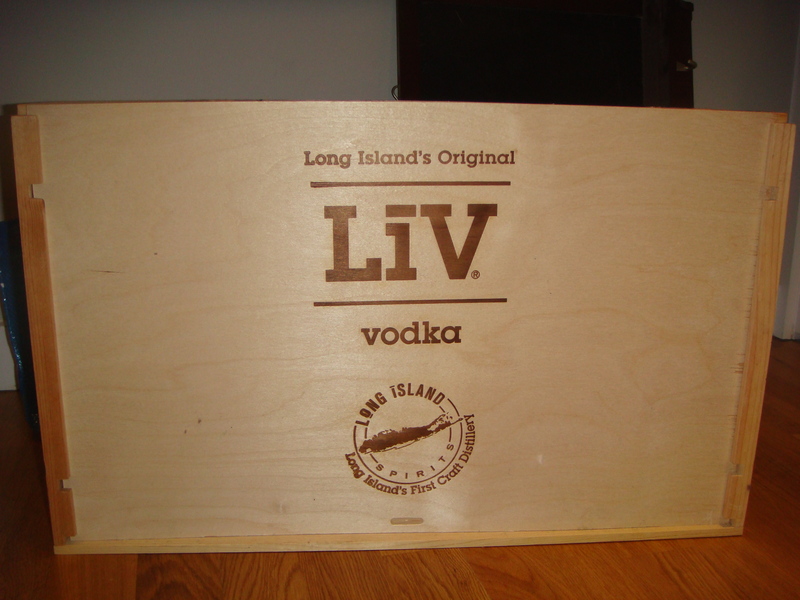 My friend Angela had 2 (empty…sigh) vodka crates leftover from a work event and I snatched them right up. I wasn’t sure what I wanted to do with them, but after I saw this Design Sponge post (photo below), I got inspired…aka I copied what they did. Imitiation is the best form of flattery…right? I decided not to line the sides of the box…partly because I used an old poster and didn’t have leftover paper, and mostly because I’m lazy. 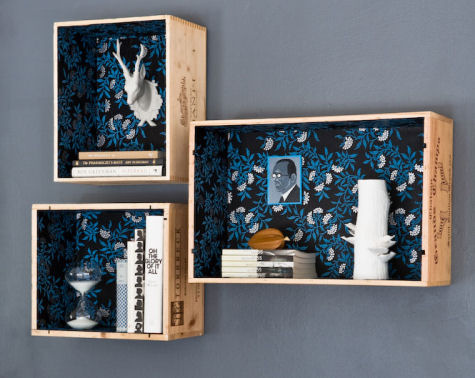 This project is a great use of old posters (I never throw anything away that can be reused for crafts…that’s right, you’re not the only one Anna banana). Oh wait, you’re not a crazy hoarder like me and you don’t have old posters lying around? No worries because I have plenty to spare! Remember when I was polling for opinions in this post? Like I predicted, the good ole Brooklyn Flea pulled through again. I found an amazing antique bottle for a mere $8! I’m very pleased I was able to combine 2 of my favorite things: liquor + crafting. I have an extra vokda case + prints if you’d like to make one too. Just holla atcha Gu! 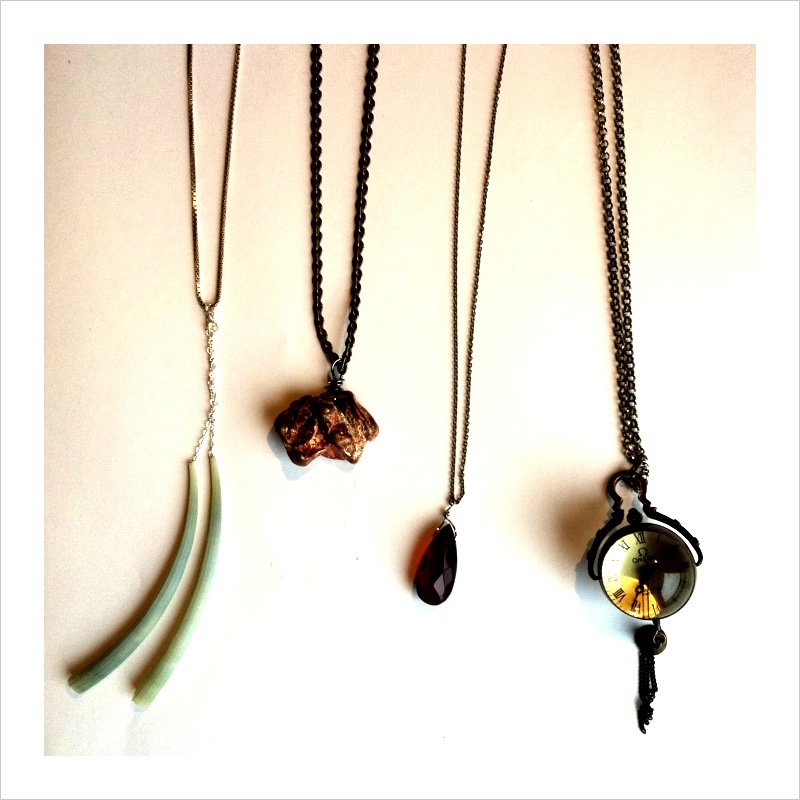 I like to look for unconventional and sustainable objects for new jewelry pieces. I always save broken jewelry if I think it can be useful later. 1. A street vendor in Soho had a beautiful pair of earrings made from small tusks and told me she got them from The Evolution Store around the corner. I went there directly and picked them up, along with the copper nugget next to it. Instead of earrings, I decided to make them into a delicate necklace. 2. Copper Nugget ($3) from The Evolution Store. Chain from Ebay ($6 for 3). 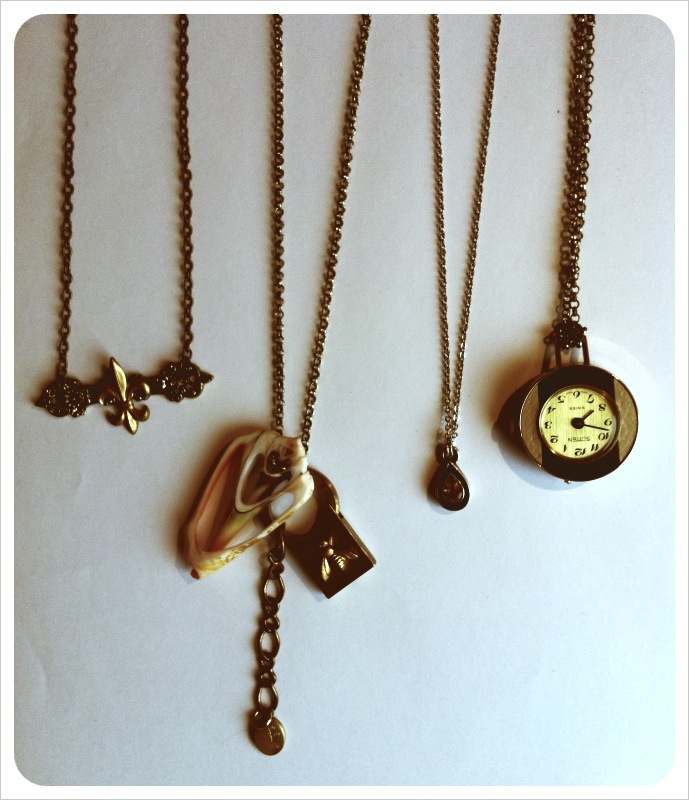 I was able to make versatile necklaces with the rest of the chains (I bought 2 packs). Post coming soon. 3. I lost one earring, so it became a necklace. 4. Clock charm from China. I used the leftover chain from the Anthropologie Jewelry post. 1. This was a bigger, statement necklace but the bottom section fell off. I still really like the simplicity of the fleur de lis bar. 2. Shell from The Evolution Store paired with a keychain from the Brooklyn Flea. Chain was leftover from Anthropologie Jewelry post. 3. Pendant from Garage Sale with recycled chain. 4. This was a watch, which I broke, so naturally it becomes a necklace. None of these required any skill, but I think they are still unique pieces. What odd objects do you make jewelry out of? I’d love to hear!